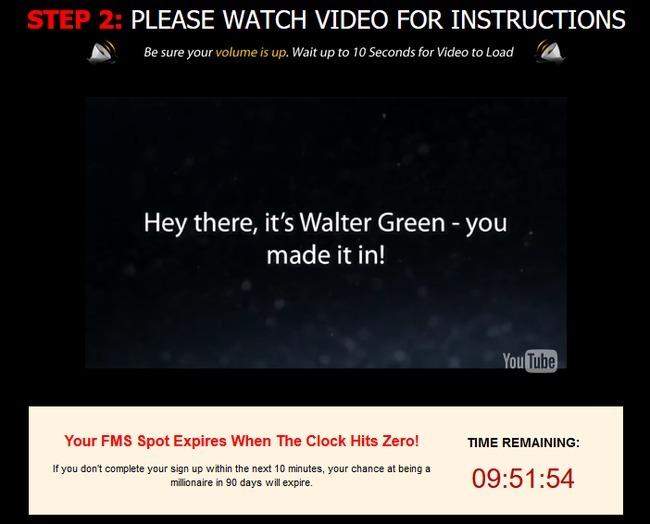 Free Money System Review - Scam by Walter Green? Walter Green’s Free Money System claims to make you a millionaire within 90 days with the help of his miracle binary trading software. Is it too good to be true? Is Free Money System a scam? Let’s find out in this review. Free Money System’s presell page is indeed an attention-grabbing one. 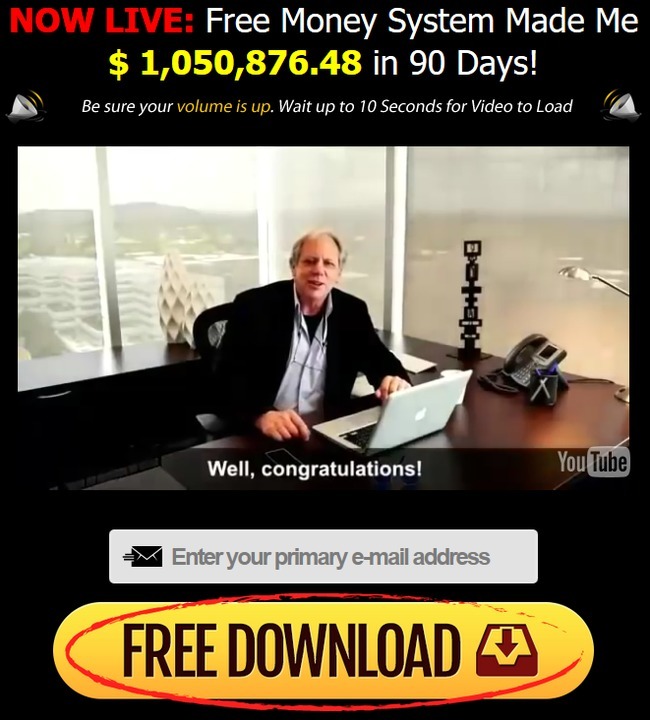 With no distractions other than a bold statement, Walter Green claims that he made over $1M in the past 90 days using Free Money System. The auto-play video in the homepage runs a good 20-minutes, but it doesn’t reveal too much useful information. 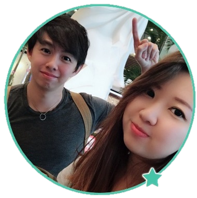 It tells a story of how a broke, unemployed man stumbled upon the miracle software that made him millions of dollars in the binary options market. We’ve seen a lot of scams promoting binary options robots that automate trades for you, and Free Money System is exactly one of those. Walter Green has more than one binary options robot scam sites, and we’ve reviewed one of them before. Take a look at the review of Millionaire Blueprint and you will immediately recognize the similarities of their presell pages. It is not uncommon for binary options scams to sell their gimmicks under different names. In this case, the same scam was sold under the names of “Free Money System” and “Millionaire Blueprint” to reach the most number of victims. Before we go any further into the review, let’s talk about binary options. Free Money System claims to be an advanced algorithm that helps you make money through binary options automatically, so it’s important to know how the underlying instrument works. Binary options are gaining momentum in recent years due to its simplicity compared to traditional trading instruments. It is basically trading reduced to its simplest form. Instead of reading news and analyzing charts, you only predict if an asset’s price will rise or fall within a short period of time, usually between 30 seconds to 5 minutes. You either win, or you lose the bet. For example, I predict that the price of an asset will rise 5 minutes from now, and I bet $50 on it. If I win, I’ll gain a certain percentage of what I bet, let’s say 80%. So if I guess correctly, I win $40. But if I’m wrong, I lose the entire sum that I bet. This makes binary options not that different from gambling. But the odds are never in your favor. Even if you manage a 50% win rate, you’ll still lose money given the unequal winning vs losing payout. You are always risking more for a chance to win less. How Does Free Money System Work? Free Money System presents itself as an automated software that trades binary options for you. Instead of choosing the options yourself, you let the robot decides for you. However, before you can use their software, you are required to make an initial deposit of at least $250 with their selected brokers. Once you provide your email address in the presell page, you’ll be brought to step 2 where you need to watch another video, and this time you have only 10 minutes to proceed to their next step. Well, there’s actually no good reason to rush you through, other than to create a illusion of scarcity and limited time offer. The sole purpose of the countdown timer is to make sure that you don’t have enough time to analyze the opportunity thoroughly. In fact, if you refresh the page, you’ll realize that the timer resets itself. It’s just a simple computer script that is set to run once you load the webpage. In fact, if you refresh the page several days later, the “limited-time opportunity” will still be up for grab. It’s just a trap waiting for you to jump into. This tactic is also used in other online opportunity scams we’ve reviewed earlier, such as The A to Z Cash System and Earn at Home Club scams. So, if you encounter similar tactic next time, be extra vigilant and think it through. Is their business model making any sense? Is the opportunity too good to be true? If it is, it’s most likely a scam. Why Is Walter Green Promoting Free Money System? Walter Green is actually an actor hired to promote the scam. There are plenty more Fiverr actors that are hired to be the spokespersons of binary software scams, and this includes the “successful testimonials” that claim Free Money System works. If you decide to join Free Money System and register for a broker account through the sales page, the team behind Free Money System earns a commission for every trade that you make. Or rather, for every trade their robot makes for you. The more you trade, the more commissions they earn. Also, the bigger the trades are, the more commissions they earn. This is why Free Money System wants you to sign up with their affiliated broker, instead of using their software on any of your existing brokers. If you decide to join Free Money System and provide your details in the form above, you’ll be brought to their affiliated broker’s page where you need to make a deposit before you start trading. I was assigned to one of their affiliated binary options broker, Glenridge Capital. There may be other brokers that Free Money System is affiliated to. Although the minimum deposit of Glenridge Capital is only $250, the default deposit is set at $500. Those who don’t poke around and ask questions to Glenridge Capital support team will most likely pay the $500, thinking that it’s the minimum deposit. But if you think about it, it makes sense for Free Money System and Glenridge Capital to set the default deposit higher. It’ll take more trades before Free Money System depletes your account, and they earn more commissions in the process. Regardless of whether you win or lose money, Free Money System will earn a commission from each and every trade. The trading frequency is also determined by them, since you are going to automate all your trades with Free Money System software. In short, they can control how much commissions to earn, AT YOUR EXPENSE. Generally, the victims’ accounts are depleted within a day or two due to the rapid micro-trades that the software generate on your behalf. Don’t touch binary options, and most definitely don’t touch binary trading systems. Should I Try Free Money System? Is Millionaire Blueprint a Scam?